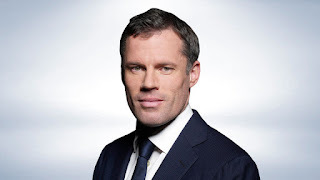 Liverpool legend Jamie Carragher has hailed Roberto Firmino as Liverpool's best player and the most important player in the team. Roberto Firmino recently signed a new 5-year deal at Liverpool and the Brazilian has been impressive for Liverpool this season. Though Mo Salah has always been taking the glory, Firmino has always been sensational as well. "His touch, the way he links the play, his strength, his working back. And I can't believe that some people still say we need a center-forward"
"I hear pundits on TV saying it and it's like, 'Oh my god!' He's got goals! And he's not just a penalty-box striker. He doesn't take loads of penalties." "It's because of Messi, Ronaldo, Salah now. They've changed the way people look at strikers and their numbers. But that's not normal, what they're doing!" 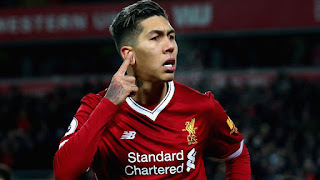 "If you've got an attacking player getting 25 goals, and doing everything Firmino does besides, then you've got a great player." "I think he's arguably Klopp's most important player, for how we press, what we do. He's just brilliant." Everyone will be looking out for both Salah and Firmino as they will look to book a place for Liverpool in the Champions League final. Fans will also be looking out for Seido Mane, the Senegalese have also been in impressive form for Liverpool. What is your prediction for tonight's game?